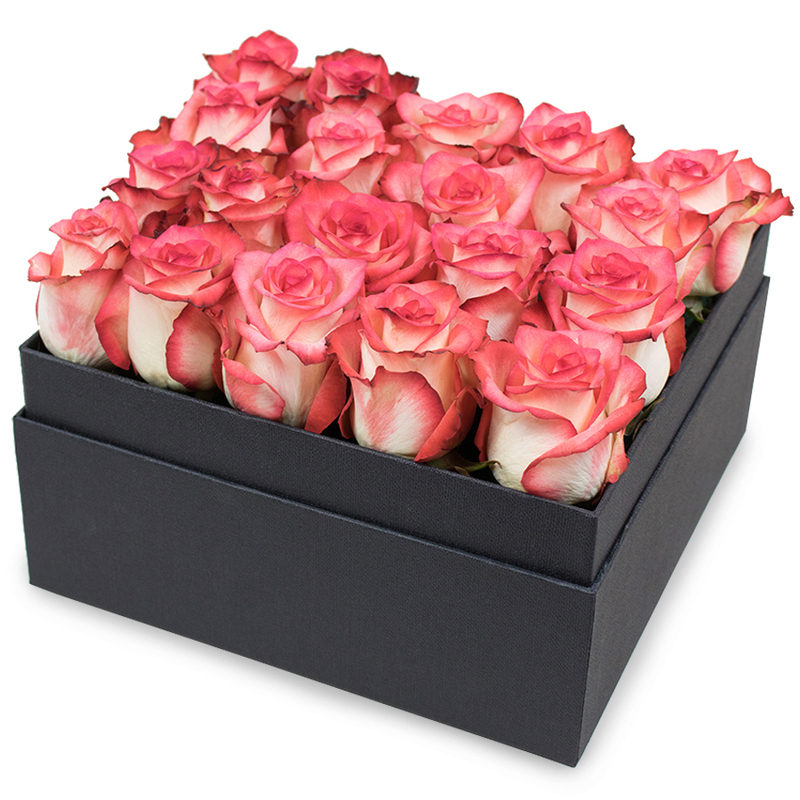 Let this magnificent arrangement of pink shade roses speak for you when you want to express your love and appreciation! This is a truly wonderful gift to send when you want to make someone feel extremely happy and loved! Stunning mix of texture and colour, dotted with whispers of soft, pink roses delivered in a sturdy box, was definitely on time, will use this florist again. I forgot my anniversary! You saved the day with the marvellous roses that I picked out for my wife. She cried she was so happy! My girl received the flowers this morning and she called right away to say that I'm the sweetest boyfriend :) Thank you dear florist for the great arrangement! I was very impressed with how beautifully the flowers were positioned in the box. Spectacular roses. What a wonderful gift box! I wanted to order flowers for a friend with a next day delivery. I'm happy I came across this website and decided to take a look at their various arrangements. So many beautiful bouquets and gifts. It was pretty hard to decide which one to choose as they all looked amazing. I finally ordered this box of pink roses and received a thank you note from my friend saying how beautiful the roses were. Thank you so much guys for delivering the flowers on time! It's so nice to receive flowers from a special someone. It's even better if the flowers are as amazing as these ones! My girlfriend couldn't stop smiling when I gave her this box of roses. She said that was the most special gift she'd ever received!